A little Thanksgiving morning project time. Mud room with part of the floor removed. It is Thanksgiving. The weather outside is typical for a New England November day; cold, overcast and wet. A perfect day to take it easy and hang out inside and relax. Or work on projects for a bit before heading over to visit family for the afternoon. We are making progress on the mud room. This week I hung the drywall on the ceiling. We are planning on contracting out the drywall work, but with the old lath and plaster ceiling, I decided to hang the ceiling early to help keep the dirt level down in the house. This morning I started attacking the floor. 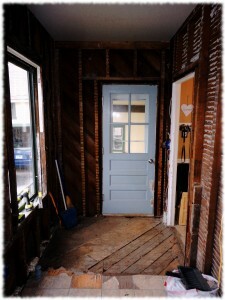 I started removing three levels of floor, getting one end of the room back to the original subfloor. I’ll probably remove the entire subfloor and replace it – it will make sistering the two joists on the north side of the room easier. 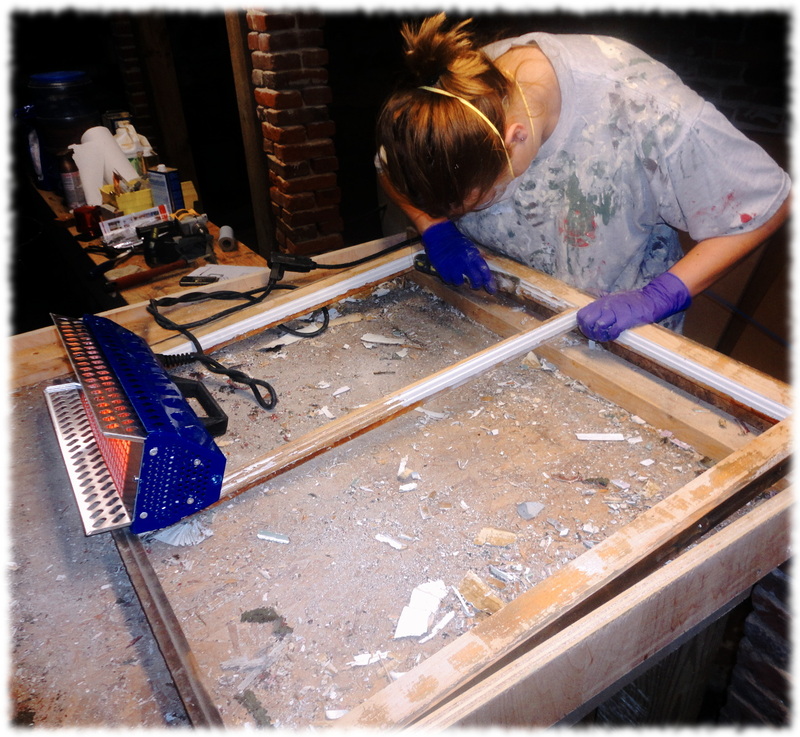 Plus, that will allow us to do a full thickness (3/4″) floor and have it the correct level. Susanna even headed down to the basement to work on the second window sash. The “Silent Paint Remover” does wonders, and the windows are looking good. Susanna working on a window sash.